WASHINGTON — If all goes according to plan, a siren will go off in Bethesda on Monday, followed by likely muffled explosive blasting needed for Purple Line construction. Starting Monday, the blasting is planned around 9:30 a.m. or 1:30 p.m. to remove rock from a shaft that will eventually be a new, second entrance to the Bethesda Metro station connected to the Purple Line station and the surface at Wisconsin Avenue and Elm Street. While each blast is expected to be only a few seconds, it’s enough to be felt nearby, and Metro trains in the area could even be stopped momentarily. A Purple Line construction advisory warns there could be blasting between 5 a.m. and 8 p.m. on weekdays through January, depending on the exact amount and type of rock found. 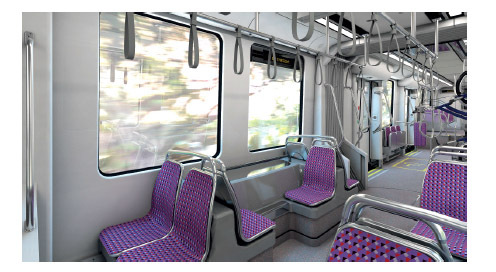 Take a look at Purple Line construction advisories on the transit project’s website. Extensive digging continues at the other underground location on the Purple Line, a tunnel in the Long Branch area of Silver Spring. That tunneling, under a residential neighborhood, has drawn complaints from people living there about loud noises in the middle of the night. The private group building the Purple Line has said the brunt of that work is expected to be completed this spring. There are also other areas with lane or road closures along the length of the 21-stop light-rail project from Bethesda through Silver Spring and College Park to New Carrollton. One closure due to end next month is the Lyttonsville Place Bridge connecting East-West Highway and Brookville Road. Purple Line rail cars could start running on a test track in Prince George’s County in 2020. The 16-mile line is scheduled to open in 2022, if construction stays on schedule.